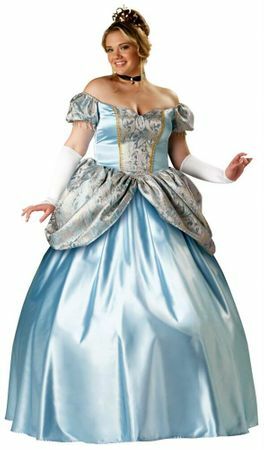 Available Sizes/Colors: Size "2X (18-20)"
You'll have an enchanted evening in this deluxe, garment-quality plus size costume, perfect for your Cinderella or other princess costume! 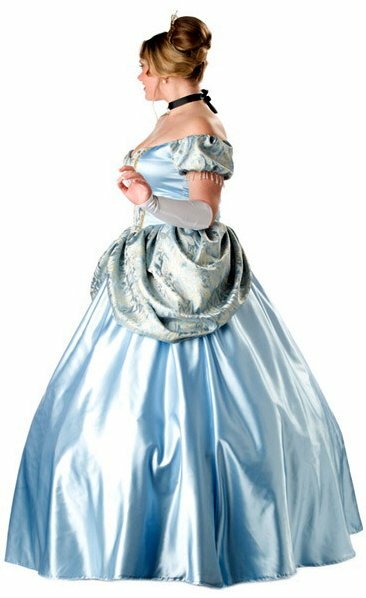 Full-length blue satin and brocade ball gown with attached peplum and puff sleeves with dangling beads, hoop petticoat, long white gloves, jeweled choker and sequined tiara. 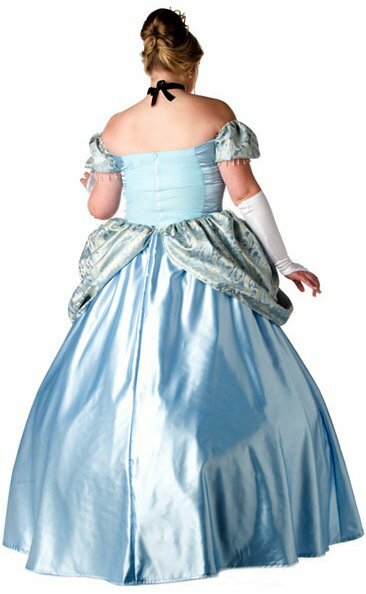 Packaged in an individual folding garment bag with hanger. Fits true to size. By InCharacter. See more options in our Disney Costumes section and King and Queen Costumes section!